Embark on an adventure at sea for the whole family! 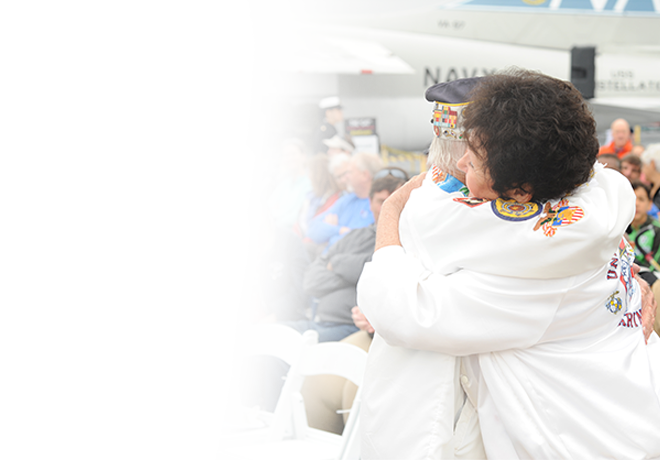 Purchase your Midway Museum General Admission ticket on our website for the BEST VALUE! 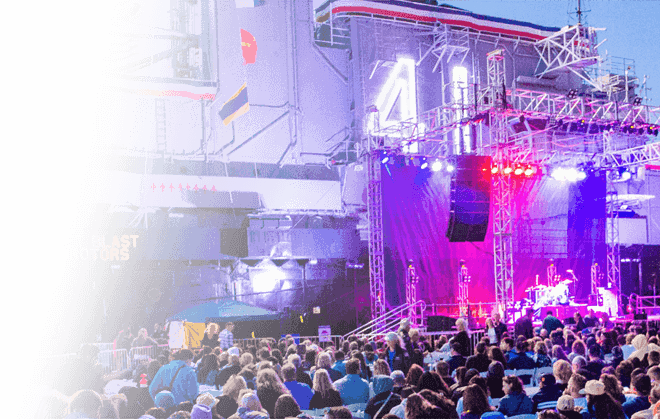 Your online ticket includes the Embarcadero Adventure Offers featuring discounts from various activities along the San Diego Embarcadero! FREE – Children 5 years old and younger, Active Duty Military (w/valid ID), Active Law Enforcement (w/valid ID), Active Fire Fighter (w/valid ID) and including Reservist. 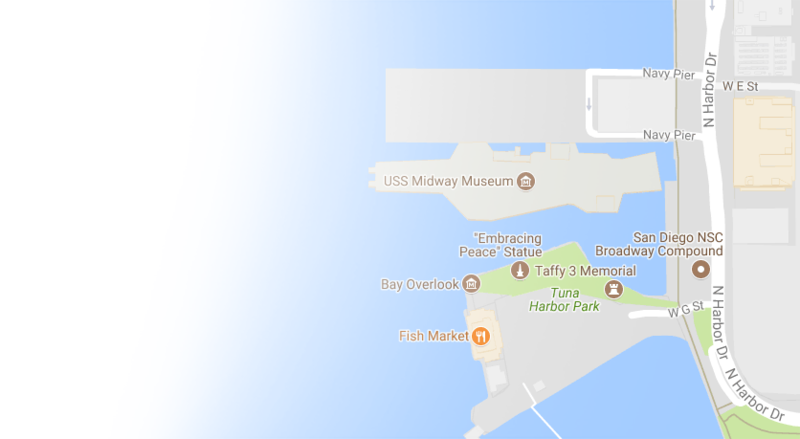 Please note, the USS Midway Museum has begun construction on the hangar deck to significantly modernize and expand the museum’s café and bathroom facilities. We appreciate your understanding on occasion when the construction work may be noticeable. Our crew will make every effort to minimize any inconvenience. 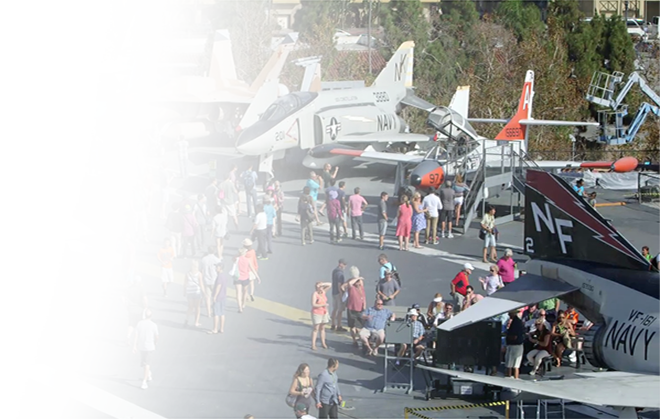 Restrooms will remain open and food offerings will be offered at Midway’s Marketplace, both located on the hangar deck. Thank you. Entry Policies: All visitors are subject to a bag check before coming aboard the Midway. Prohibited items include but are not limited to: outside food/beverage, glass containers of any kind, pets, bicycles, skateboard/scooters, weapons of any kind. Items allowed onboard include but are not limited to: service animals, strollers, clear plastic bottles, umbrellas. 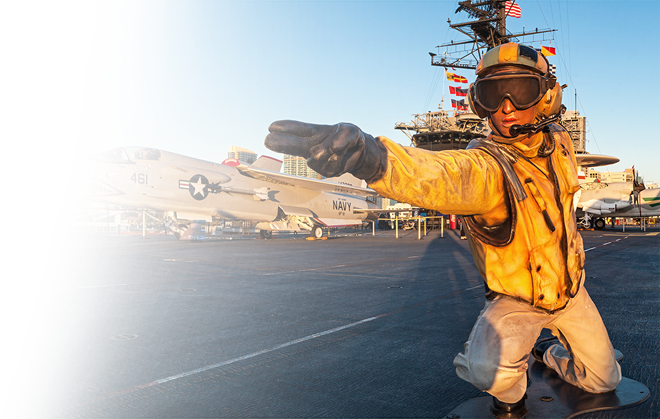 Duration of Visit: With so much to see and do, we recommend at least three or four hours onboard to get the most out of your USS Midway experience! Same day re-entry is allowed…simply stop by the Visitors Information Center by the ship’s exit. 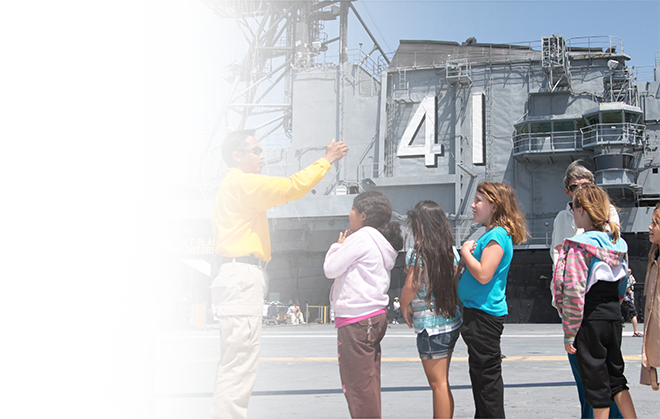 Suggested Attire: Exploring the USS Midway can involve a lot of walking and navigating ladders. For your safety, we recommend comfortable, closed-toed shoes and layered clothing as temperatures vary around the ship. Planning to take our audio tour? It is recommended to bring your own headphones! Family Activities: Our young guests are able to enjoy our Junior Pilot Program, an activity allowing them to earn their own pilot wings. Simply stop by the Information Booth once you come onboard to get started! Guests with Disabilities: We are dedicated to providing a complete experience for all guests. From wheelchair access, ASL and audio descriptive tours, to service animals, learn more about accessibility onboard here. Smoking: We are a smoke-free aircraft carrier. There are no designated smoking areas onboard.